Last year, when I first bought my scope, I didn’t realize how much weather conditions affected observing. And so I thought I would be up stargazing every night, recording and collecting my observations to make my own deductions. But, the haze (swept from Indonesian peat fires) and rain clouds in Malaysia has severely limited my observation nights instead…Darn you weather! But, last year, there was a week with two clear nights (a rare event from my home). It happened when the monsoon rains cleared sometime in October. And guess what, Jupiter was up. It was the first planet I ever saw in real! 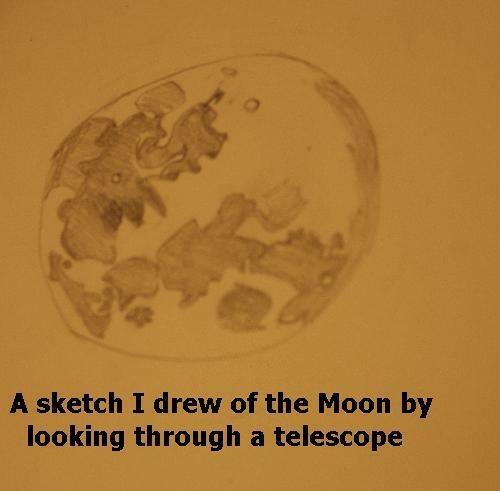 Here’s My sketches of Jupiter. I used a 24mm and 10mm Skywatcher Plossl to view the gas giant. Check it out! To the naked eye, it appeared as the brightest star in the sky. And I was lucky enough to catch all four of it moons on one night! Jupiter season should be back soon, can’t wait. I’m praying the skies will finally clear up by then! Have you seen Jupiter? I’ve been saving for a set of planetary eyepieces – I really want to get a better view of Jupiter’s Great Red Spot. If you’re from the tropics, what’s the weather like there? Similar to Malaysia? Reblogged this on adil khan blog. Awesome! I remember when my Dad first showed me Jupiter and its moons with his telescope. It’s a pretty amazing sight. Yeah, It was! When I first saw it, I couldn’t believe my eyes, I was actually seeing a freaking planet!! Do you have a telescope of your own? I don’t unfortunately. I haven’t much of an amateur astronomer in quite awhile, but I still try to keep track of astronomy-related news and events. Sounds cool 🙂 I’m creating an earth science degree via Interdisciplinary Studies which combines meteorology and Geographic Information Science. Basically, it will be the study of the atmosphere’s impacts on the physical and human landscape through the application of geospatial technology (geographic information systems and satellite remote sensing). It’s a self-created degree program so it should be interesting. Wowwww, now THAT’S cool! I’m just wondering besides weathering and ocean currents, is earth impacted by the atmosphere in any other way? Sure! The atmosphere impacts the earth’s surface environment by precipitation and evaporation processes. These processes cause different climatic regions where some areas are very wet (like rainforests) and other areas are dry (like deserts). Of course, variations in surface temperature and precipitation also drive the short-term behavior and long-term evolution of living organisms that inhabit the surface. The whole of human civilization is developed based on the state of the atmosphere and type of climate and types of weather phenomena that people had to adapt too. So yeah, there are quite a bit of impacts by the atmosphere on the geographic landscape. You just have to look beyond the geology and also look at the ecosphere. Ahah! Thanks so much for making it clear!! Yeah you’re right climate definitely plays in evolution – the atmosphere changes physical terrain – which in turn changes the pressures for natural selection – and we have evolution! Like in the Ice Age melt; do you think rising atmospheric co2 was its primary cause? Welcome to Astronomy at the Equator! Do fish around the blog. Do spread the stoke on astronomy.